Nokia has confessed in a one-on-one interview with Pocket-lint that they still need to bring a lower end phone into the world to compete with Android. By lower end we mean lower priced, although the Lumia 610 is the current lowest priced Nokia Windows Phone, it isn’t at the average €100 price range that Android phones are at. 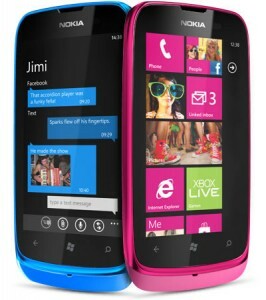 Currently, the low-end Lumia 610 has a price of €189 which is far from beginning to compete with Android devices. Specifically, these €100 Android devices are the same devices Nokia wants to make available with Windows Phone: first time smartphone user friendly devices. Nokia’s ultimate goal is to have a vast lineup of Windows Phone devices, and have those Windows Phone devices available for everyone, whether they are newcomers or loyal users. This goal includes competing with one of the biggest low-end smartphone market leaders: Android. “Symbian is doing a very good job in capturing that first-time smartphone user, but the platform is, of course, ageing. And the functionality isn’t evolving as rapidly as it should, so we need to continue to push the price of handsets down when it comes to the low-end,” Savander said. As we’ve mentioned and reminded many times before, Nokia is putting all their faith into Windows Phone. Vast market, vast user base, and determination to compete with the world. We expect Nokia to perhaps announce their next Windows Phone lineup later this year, including this new (lower than Lumia 610) low-end Windows Phone. Further lowering the price? This is getting ridiculous. First it was the 710 that was lowered and now this? If only they knew the user experience Windows Phone gives. I have a lumia 710 and its a great craftsmanship coupled with a fantastic software in wp7. But the truth is Nokia is slowly abandoning their Symbian OS. They need to replace all price ranges that Symbian have. That’s why they need to lower their price.